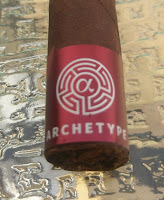 Appearance (0-20): Tow bands flank this cigar - the normal top band, which sports a crimson and black foil backdrop has a gold embossed tree struck across the center. On the back of one side is the word "archetype", while the other side is "axis mundi". The second band sits on the foot, with a nice matching crimson color with the archetype emblem and title. It all is presented well against a nice rich looking Ecuadorian Habano, which has only small sized veins of note, but they are somewhat prevalent throughout. All in all, its a nice presentation. Construction (0-20): The construction on the Axis Mundi is downright exceptional. 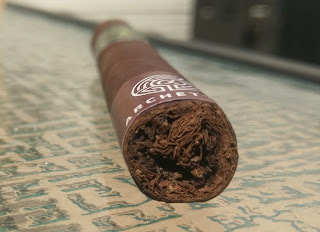 When picking up the cigar, there is honestly a moment where the sheer weight of it surprised me. I could tell, in no uncertain terms, that this corona was tightly packed. Everything felt well distributed, and the wrapper was soft to the touch. The cut was clean, with just a small amount of debris, and the prelit draw was perfect. Thankfully that remained through the entire smoke too. 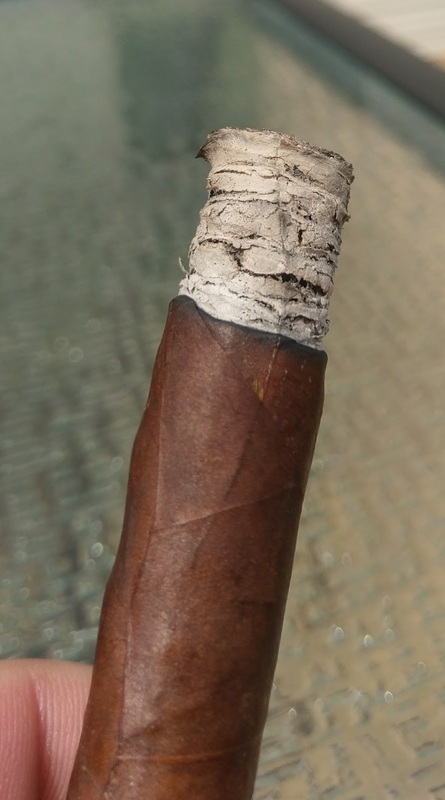 As for the burn and ash - it was near razor sharp and held for almost half of the cigar before ashing. Strength (0-20): This is listed as full strength on the Ventura site, and I am inclined to agree that it does hit that. I believe it begins at the top of the medium to full range, and builds strength quickly into full, were it stands. The immediate flavor base is one that is a bit nutty, with a bit of some charred wood behind it. Layered over is a nice amount of sweetness that I can't quite identify, but it balances the nuts and wood perfectly. On the retrohale there is a decent amount of spice coming across, but it fades as the stick progresses. Moving to around the halfway point, there's a bitter coffee component that enters along with the other base flavors, pushing the sweetness down further, but melding it expertly. From a complexity standpoint, on a scale from 1 to 10, it may hit a 7. Its not ridiculously complex, but its perfect for the corona size that it is. The flavors work completely harmoniously, and balance one another outstandingly well. Value (0-20): $10.50 is a bit heavy on the price for a corona. Personally I would likely be more inclined to toss an extra dollar or two down in order to get my hands on the toro or churchill. Taking into consideration all aspects, the price is slightly high for what you are getting but its not absurdly priced, even if it isn't strictly a value. Additional Notes: Paired with water. 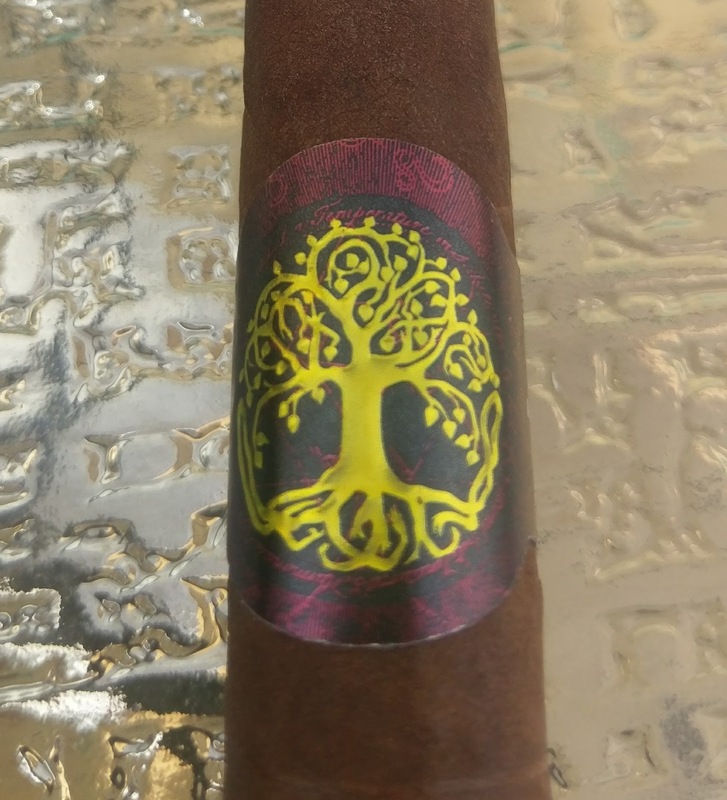 Cigars provided by Ventura Cigars. 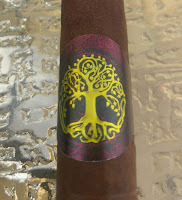 Overall (0-100): I wasn't really sure what to expect with this smoke, but I am happy that I was able to try one. You can tell that these were lovingly cared for, with the construction and appearance being nearly immaculate. They are well wrapped and the design is clean and draws the eye to it. 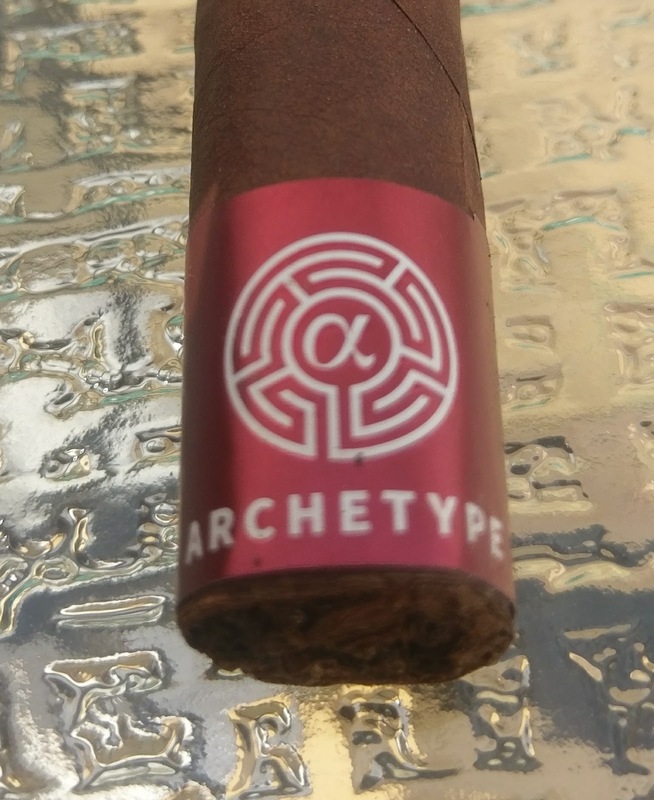 Its definitely a strong cigar, with an increase in strength from the beginning to the end... and if you haven't eaten something it might just make you regret it. But the flavor section is where this one shines the most. Nuts, charred wood, sweetness, coffee, and some spice all come across in very distinct droves. Moderately complex, delicious... and harmonious. The only knock I have on this at all is the price. Over $10.00 for a corona hurts my soul, but there is something to be said of paying a premium price for a premium product. And I will be purchasing more of these.